Hammarbya is a single-species genus comprised of a small orchid, H. paludosa, commonly known as Bog Orchid or Bog Adder's Mouth Orchid. 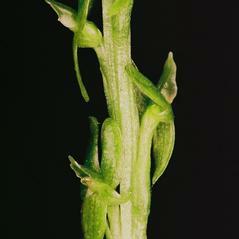 It grows in bogs in circumpolar, temperate and subarctic regions of the Northern Hemisphere. In North America, it is found from Alaska east to Ontario and south to Minnesota. Generally rare in North America, it is protected in parts of Ireland and Britain, and is considered endangered in portions of its range, including Minnesota, and Wales. Previously classified in the genus Malaxis, H. paludosa was moved to a new genus by botanist Otto Kuntze, who named it after Hammarby, the summer residence of Linnaeus, now a botanical garden maintained by Uppsala University. 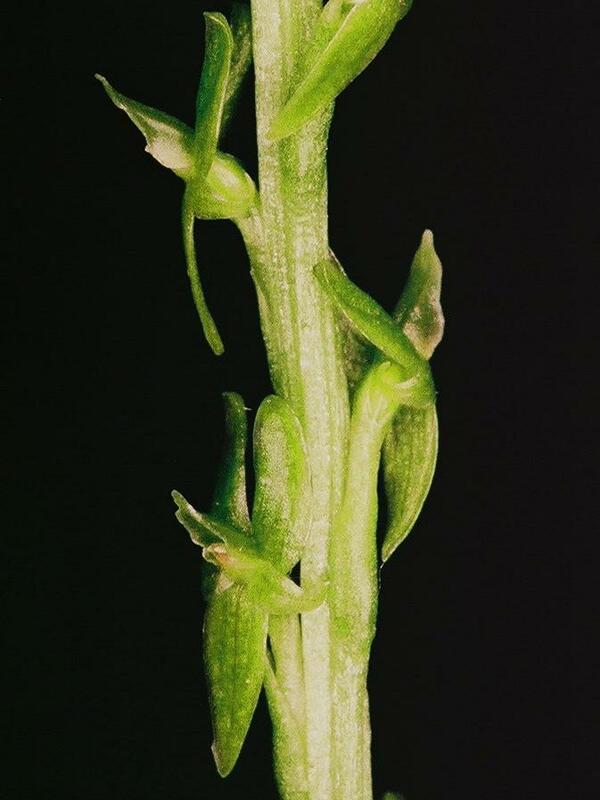 While most orchids have flowers which are resupinate, twisting 180° during development so that the lip points downwards, Hammarbya have flowers which twist an additional 180° so that the lip points upwards. Pollinated by a variety of small flies, Hammarbya have no true roots and unlike many orchids, it produces bulbils - small buds which drop off and develop into new plants.